Australian creepers, or treecreepers, tend to be small birds about the same size as sparrows. They average in length from 5.7 to 6.9 inches (14.5 to 17.5 centimeters), with an average weight of 0.75 to 1.15 ounces (21 to 32 grams). Their legs are short, with long toes that have claws that are curved and long. They have short necks, and long decurved, downward curved, bills. Their color varies from a reddish brown, to brown, to almost black. Each species displays a streak, either white, black, or brown, on their undersides, and display an off-white to rufous, red, bar across their flight feathers that are noticeable when they are in flight. Some species have white throats, for instance, the white-throated treecreeper. Brows range in color from a pale buff, as in the case of the brown treecreeper; to red, in the red-browed treecreeper; to white, as shown in the white-browed treecreeper. The difference between males and females is slight. 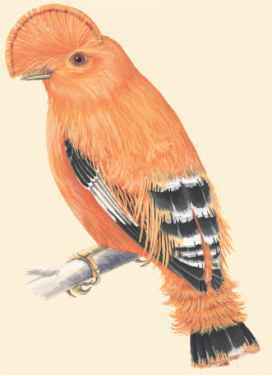 Orange patches on the neck, throat, or breast usually distinguishes the female from the male. Australian treecreepers are distributed throughout Australia, except in the sandy and stony deserts, or grasslands. One of the eight species, the Papuan treecreeper, is native to New Guinea, where it is found in some of the mountains. However they are unexplainably absent from an area of approximately 250 miles (400 kilometers) in central New Guinea. The island of Tasmania, off the southeastern coast of Australia, has no treecreepers despite the fact that it has a natural environment phylum class subclass order monotypic order suborder family suitable to the birds—rainforests, eucalyptus forests, and woodlands. The explanation that has been suggested for this is that Tasmania did not have the extensive forest before it became isolated from the mainland, and treecreepers are poor fliers, so have not colonized Tasmania since then.